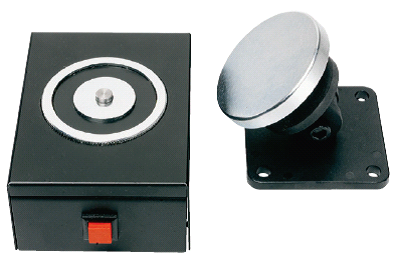 DH-500 Series Magnetic Door Holders for Fire & Safety Applications. 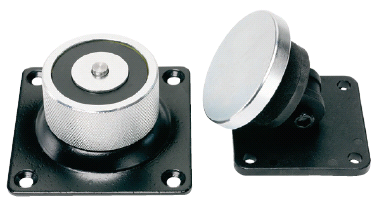 – Magnetic door holders with 70kg holding force. – Wall, floor and flush mounting versions. – Test button (DH-502 and DH-504 versions). – Supplied with adjustable armature plate. – Protection: IP41 (from front only on some models). – Temp Range (degrees Celsius): -10 to +55. – Cable Entry: 2 x 20mm. – Construction: Black powder coated steel (flush mount version has stainless steel wall plate). MBDH501 Basic wall mounting, 80 x 80 x 45mm, 0.72kg. MBDH502 Wall mounting in box, 80 x 80 x 45mm, 0.9kg. MBDH504 Floor mounting, 118 x 92 x 120mm, 1.46kg. 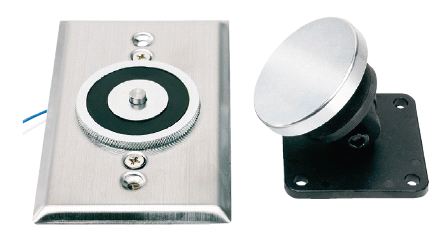 MBDH505 Flush wall mounting stainless steel front plate, 120 x 76 x28mm, 0.7kg.